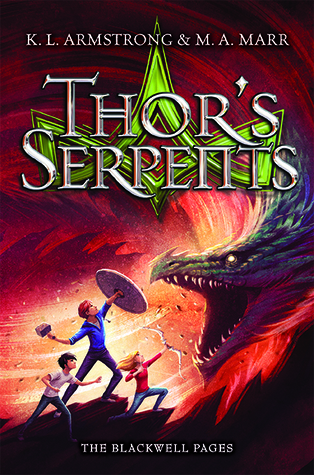 Thor’s Serpents is a great ending to this series. Just as packed with action as the previous books and it certainly ups the pace and the tension with the end of the world coming close by. This books builds towards the big battle, while also putting the characters in other situations and obstacles they need to overcome first. It was a fun and enjoyable book, although maybe a little bit more serious than the first two because the end of the world is so close now. There are still enough lighter scenes and jokes to mix it up with. I really enjoyed this book and once I started reading I had a hard time putting it down. And the artwork was awesome as always, it’s fun to see some of the scenes depicted with in the artwork. The artworks is really done well and fits the scene and I like the art style. There are some interesting plots with Fen who joins the other side and I liked how you saw him struggle with his responsibility to the pack and his loyalty to his friends. It was very well done and I liked that twist. There are also some surprises that I didn’t expect. It did feel like a few things weren’t wrapped up fully or set up and then dropped, like with Rayna her cat. And the mention of Laurie turning into a salmon, that seemed to make no sense at all and was a bit confusing and unnecessary in my opinion as it was a set up and they don’t anything with it. Same with Reyna her cat. I really liked the ending, I was curious how the authors would handle that and was pleasantly surprised. The big battle at the end was well done, lots of working towards that point and then the epic battle to determine the fate of the world. Nothing was too easy or too hard, but just the right way so it was challenging and you were afraid for a while the heroes weren’t go to make it. The epilogue I liked a little less as it was a tad too normal, almost like the whole thing didn’t happen and things go on like before. I liked how this book challenges the characters even more. I really liked how Matt, Laurie and Fen changed to fit into their roles. All three of them are awesome characters and I really grown to like them over the course of these books. I like to see how over the course of this series they changed from scared kids to kids who are scared but know they have to do what they can to save the world. It was pretty amazing. Like I mentioned before there’s a nice twist and struggle with Fen turning towards the wolf side. The side characters beside the three main character were a bit less interesting, they were fun and had personality, but they were less complicated and interesting than the main characters. This series has a dose of Norse mythology in it and evening this book we see a lot of that. Some new myths, more about Ragnarock and a few other tidbits. I liked seeing hell and Helen make another appearance and some mythological monster pop up. The battle with the serpent was also interesting. To conclude: all in all was this a great end to the series, some interesting developments and a nice big battle towards the ending. I just felt the epilogue was a tad too normal. There were also a few minor plot lines that didn’t seem to contribute much, but I didn’t mind too much. My favourite part of this series is seeing the three main character change and accept their role in the apocalypse. It was awesome to see who they had become in this book. The mythology aspect is very well done and this book adds a bit more. If you are looking for a fun and action filled Middle Grade series, I would recommend you give this one a try. 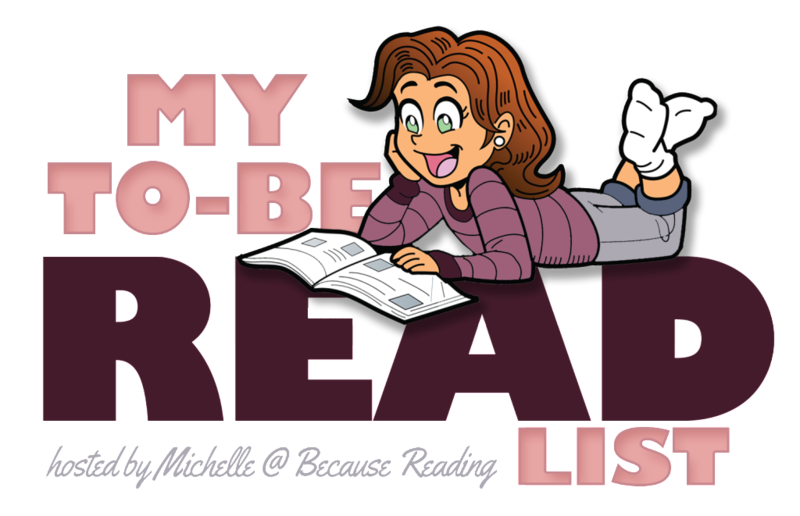 Do you read Middle Grade books and why or why not? Sounds fun and such a spectacular cover! Yep, I read middle grade books. I really enjoy them. I have a fresh mind after reading them and enjoy being taken back to memories of opening a book and being so excited to enter a new world or adventure. I think Middle Grade books can be a nice change of pace as they are often so different from the other age categories, that’s why I like to switch between them depending on my mood. This was a fun series and the cover and illustrations are great! I really enjoyed the Percy Jackson and the Inheritance series and this one sounds along those lines. I’m glad the last book built up to a big, exciting ending and there was some tension for the friends to deal with. I haven’t read either of those series, so I can’t really say how they compare. Although from what I’ve heard from the Percy Jackson is also has a mix of MG and mythology, so at least that’s similiar. I think I saw a few other reviewers who compared the two series as well. The endign was done well, I wasn’t abig fan of the epilogue, but the big battle at the end was nciely done. I love Middle grade books and Rick Riordan’s stories in particular. I think I just get sick of the romance in YA fantasy and enjoy the focus more on the actual battles and stories in middle grade fantasy. I definitely want to start the Blackwell Pages after your reviews. When I need a break from the drama and romance and want more action I often pick up a MG book. I like how all those age categories feel different. I hope you give this series a try! I am so glad you liked it and it might be a great series to introduce to my son or nephew, I think they would really enjoy it. It’s a great series with a good solid story and lots of action. The mythology is nicely woven into the book. This series is the only the second middle grade series that I’ve read as an adult. (The other one was The Giver by Lois Lowry). I’m a huge Kelley Armstrong, so I’ll read anything she writes. I enjoyed this series and agree with your comments above. I am also a huge Armstrong fan and that’s part of the reason I had to read this series. I really enjoyed this series! I’m happy this was a satisfying ending, Lola. I really want to read this series since it’s from 2 of my favorite authors. 🙂 And I love the mythology, too! It’s always nice when a series ending is satisfying. I hope you’ll get the chance to read this series, if they are two of your favourite authors I am pretty sure you’ll enjoy this series as well. I am looking forward to hear your thoughts when you get around to reading this series!